Premarket notification (PMN) submissions [510(k)]s for medical devices are reviewed and processed by the Center for Devices and Radiological Health (CDRH) within the FDA. The Office of Device Evaluation (ODE) within CDRH is responsible for the processing and review of 510(k)s and providing a decision related to clearance to market medical devices in the U.S. Within ODE there are six divisions organized according to medical scientific disciplines. Each ODE division has a scientific staff that performs scientific reviews of 510(k)s and other research (IDE) and marketing applications (PMA). These individuals are commonly referred to as ODE reviewers. For the most part, it is their recommendation that determines whether a new device is substantially equivalent (SE) or not substantially equivalent (NSE). The following is a description of how 510(k)s are processed and reviewed by ODE and the 510(k) programs that affect this process. Prinsip Mahir helps medical device companies to get their products into the US market. One of the first steps for medical device companies who manufacture Class 2 device (for which a predicate device exists) is to file a Pre-market Notification with the Food and Drug Administration, also known as a FDA 510k application. Who must submit a FDA 510(k) Pre-market Notification? Manufacturers or importer/exporters introducing a new device (with predicate device) to the US market. Manufacturers introducing a new finished device to the US market. If you manufacturer a component, you do not need to file a FDA 510(k) unless the component is also sold as a replacement part. Specification developers that design a device and have it manufactured by another company for eventual sale in the US. Companies that are proposing a significantly different design or different Intended Use for a product that is already sold in the US. Repackagers or relabelers of devices. However, this only applies is you are significantly changing labels, manuals, warnings, instructions, etc. 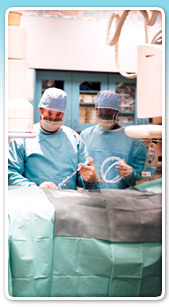 Let Prinsip Mahir's team of experienced medical device professionals assist you in the preparation of your FDA 510(k).